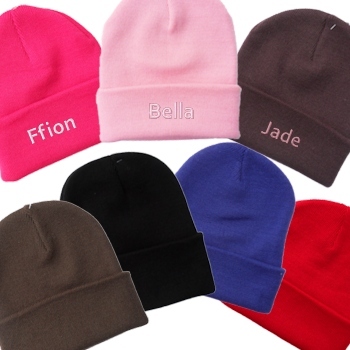 Keep your head nice and warm with a classic winter stretch knit beanie hat personalised and in your choice of colour. Keep your head nice and warm with a classic winter stretch knit beanie hat personalised and in your choice of colour. 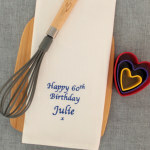 Add that special one of kind touch by having a name, nickname, team or club embroidered on it. Makes a great unique gift. Choose the hat colour and the embroidery thread colour then fill in the name, nickname or initials you would like personalised.